Old Order Amish Rhoda Byler's unusual gift and her remarkable abilities to grow herbs and berries have caused many to think her odd. As rumors mount that Rhoda's "gift" is a detriment to the community, she chooses isolation, spending her time in her fruit garden and on her thriving canning business. Miles away in Harvest Mills, Samuel King struggles to keep his family's apple orchard profitable. 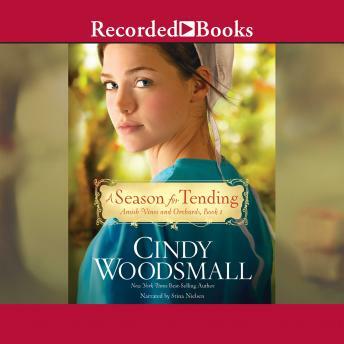 As the eldest son, Samuel farms with his brothers, the irrepressible Jacob and brash Eli, while his longtime girlfriend Catherine remains hopeful that Samuel will marry her when he feels financially stable. Meanwhile, Samuel's younger sister Leah is testing all the boundaries during her rumschpringe, and finds herself far from home in Rhoda's garden after a night of partying gone badly. But Leah's poor choices serve as a bridge between Rhoda and the King family when a tragic mistake in the orchard leaves Samuel searching for solutions. Rhoda's expertise in canning could be the answer, but she struggles with guilt over the tragic death of her sister and doesn't trust herself outside her garden walls. As the lines between business, love, and family begin to blur, can Rhoda finally open up to a new life? And what effect will this odd, amazing woman have on the entire King family?